Be the know it all that you need to be. If you don’t take action by planning your financial life, the outcome is predictable – you lose choice. How? Through no planning or inadequate planning the typical American worker lets over $500K slip through their fingers in a lifetime. How exactly do you know that you are planning properly? If you’re like most Americans, you probably don’t. We are going to go through key areas that need to be considered for your financial plan. Your plan should also be looked at every year to make sure that it is on track so that you can retire early. That is not a misprint. Yes, you can retire early. These 8 key areas will help you to be able to look over your financial plan effectively to ensure that your financial planner has assessed your needs and wants correctly. If you don’t feel that your needs have been met you should always get a second opinion. This is your life we’re talking about! Budgeting – Steps to manage income and expenses include the following to ensure you have effective financial planning to increase your chances of planning properly. First, you want to identify monthly outflows as living expenses, savings, and discretionary. Eliminate unnecessary expenses from the discretionary category. If further cuts need to be made, reduce living expenses by obtaining a less expensive auto or home. Reduce savings as a last resort. Track income and expenses monthly and review every six months. Establish an emergency fund equal to six months of income saved. Save on private mortgage insurance by putting at least 20% down on a home mortgage. Education Funding – Several tax advantages are available to help save for education expenses and to incorporate education planning in your financial plan for your children is important more now than ever. Savings bond interest may be tax free if used for qualified education expenses. Coverdell education savings accounts (ESAs) provide tax-deferred growth and tax-free distributions for qualified education expenses. Qualified Tuition Programs (529 plans) provide tax-free distributions for qualified tuition expenses. A gift of low-basis stock allows the individual’s child to sell the stock and use the proceeds to fund education expenses. This is beneficial when the individual is in a higher tax bracket and the student is in a lower tax bracket. Roth IRAs can be used as a savings vehicle for education purposes. Contributions are removed from a Roth IRA without tax or penalty. Parents and grandparents fund the Roth IRA with the intention of removing the contribution and gifting that amount to the student. If the student does not go to college, or has the costs covered by other means, the contributions can stay in the Roth IRA without concern for tax or penalty. Cash-value life insurance can also be used as a funding mechanism for college expenses. Insurance – The purpose of insurance is to transfer the risk of loss to a third party to prevent catastrophic financial loss should that risk become a reality. For this reason, people choose to insure the larger risks and take on the smaller potential losses at their own risk. Life Insurance and acquiring an Annuity is one of the most important steps in your financial plan to prevent loss and comprehensive financial planning. Health insurance provides financial protection from medical costs associated with illness and/or injury. Disability insurance provides for income replacement in the event a person is unable to work due to injury or illness. Long-term care insurance protects financial assets and income in the event a person is confined to a long-term nursing home or needs in-home care for an extended period of time. Life insurance provides for an immediate lump-sum amount of money in the event of the insured’s death. 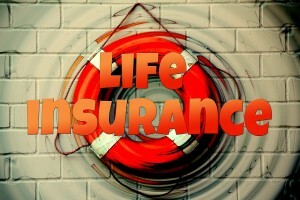 The purpose of life insurance is to provide income replacement in the event the income earner dies. Investment Planning – Stocks, bonds, money markets, mutual funds, commodities, real estate, and options are the most common types of investments. Most financial professionals will recommend diversifying an investment portfolio across the different spectrum of investments. Investors need to be aware of the risks involved with any investment. 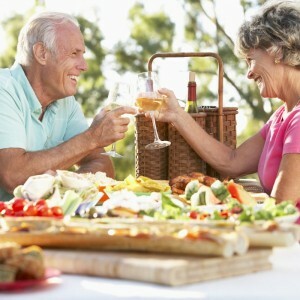 Put investments into your financial planning to increase your retirement funds. Market risk. This is the risk that the value of the investment will be below the purchase price when or if it needs to be sold. Inflation risk. If the increase in value of an investment is less than the increase in the inflation rate, the future purchasing power will be less. Liquidity risk. Not all investments can be sold at a moment’s notice. Some investments do not have a marketplace where they can be sold. Interest rate risk. If an individual buys an interest-bearing investment and interest rates go up, the current investment value can decrease. Tax risk. Buying and selling repeatedly for a profit will lead to taxable gains. The tax paid presents a risk to the investment value. Political risk. Specifically, when investing globally, political changes within a country can decrease investment values. Currency risk. Fluctuations in world currencies will cause investment values to rise or fall, independent from the true value of the investment. Income Tax Planning – In addition to the economic logic that a financial transaction must have, it is important to evaluate the tax consequences of those transactions. of tax owed. Selling investments that are below basis can provide tax benefits by allowing a dollar-for-dollar reduction against capital gains. In addition, individuals are allowed to write off investment losses in excess of gains up to $3,000 per year. Any amount not used can be carried forward to future tax years. to a different life insurance or annuity contract without the exchange becoming taxable. from retirement plans and avoid the 10% additional tax. The only individuals that do not get penalized are first-responders and state employees as of January 1, 2016. In order to do so, they must follow certain rules. Distributions must be taken at least annually in substantially equal amounts. Distribution amounts are determined by life expectancy of the recipient. Distributions must be taken for a minimum of five years beginning with the year of the first distribution. If, at the end of the five years, the recipient has not yet attained the age of 59½, he or she must continue the distributions until attaining age 59 ½.